Tue., April 4, 2017, 8:56 p.m.
GLENDALE, Ariz. – So where do the Gonzaga Bulldogs go from here? Well, they go forward. And back. Forward to horizons that seem brighter than ever because of what’s been accomplished. To goals and possibilities recalibrated. To a new sense of purpose ignited in part by a mission that fell short – by a minute, by a blocked shot or by a blown call on the baseline. Take your pick. As the despair from Gonzaga’s 71-65 loss to North Carolina in Monday night’s NCAA Tournament championship game ebbed – and it didn’t easily – thoughts turned to what kind of bounce the Zags might get from their journey into the previously unknown. 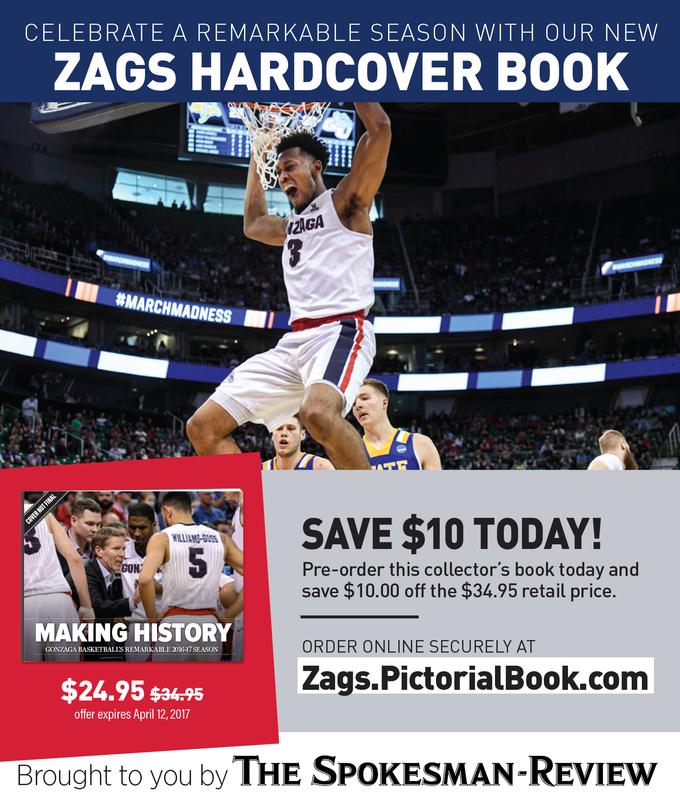 First, a necessary caveat: As with most great basketball teams and stories, there was a perfect-storm quality to the whole Zags enterprise in 2017. The intersection of three transfer players with the goods. The frightful injury that a year earlier threatened to end Przemek Karnowski’s career, but also made him available for one more season – requiring, of course, his determined comeback. And most of all a single-minded adherence to the common good – egos checked, statistics sacrificed – that’s rare even in teams painstakingly built, never mind one assembled on the fly with all sorts of new parts. And the fickle nature of tournament play makes it imperative to harvest any opportunity in the title game. Yes, the Tar Heels were back for a do-over in just a year. But 35 other schools have never had a second chance. The Zags could be without half of the eight-man rotation of 2017 – Karnowski and Jordan Mathews exhausting their eligibility, Zach Collins and Nigel Williams-Goss likely as not testing NBA meat market. Redshirts Zach Norvell and Jacob Larsen will be in the mix along with incoming freshmen Corey Kispert and Jesse Wade – and probably players to be named later. So once again: lots of new pieces. 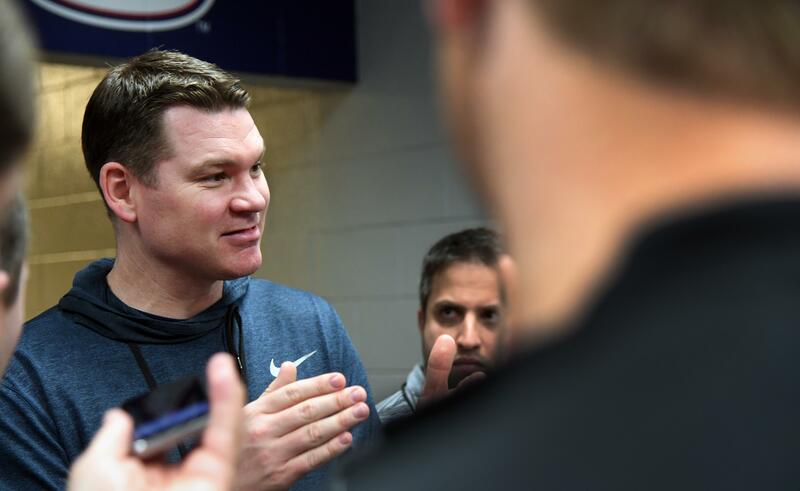 But with appearances in the Sweet 16, Elite Eight and Final Four in the last three years – involving 26 players – the Zags seem to have the hang of team construction. The intrigue will be in how much of a bump the program gets from its Final Four breakthrough. Athletic director Mike Roth insisted it will be substantial. “We’ve always believed in the importance of growing the program – that’s been the hallmark of this whole run and a big reason Mark has stayed the course,” he said. “And doing this again means getting better. GU’s 2018 schedule is already ambitious – the 16-team PK80 tournament in Portland, a date with 2016 NCAA champ Villanova in Madison Square Garden. The enhanced notoriety could open up more possibilities for home-and-home scheduling. And, yes, open more recruiting doors. “Look, there’s been naysayers out there – and maybe there still will be – but they don’t have a leg to stand on anymore,” Lloyd said. “I don’t think anybody in their right mind can say we weren’t worthy of winning a national championship. We didn’t – they made the last few plays and that’s a credit to North Carolina. But we’re right there in the biggest game of all. And do what all of them have done: grow it. Published: April 4, 2017, 8:56 p.m.